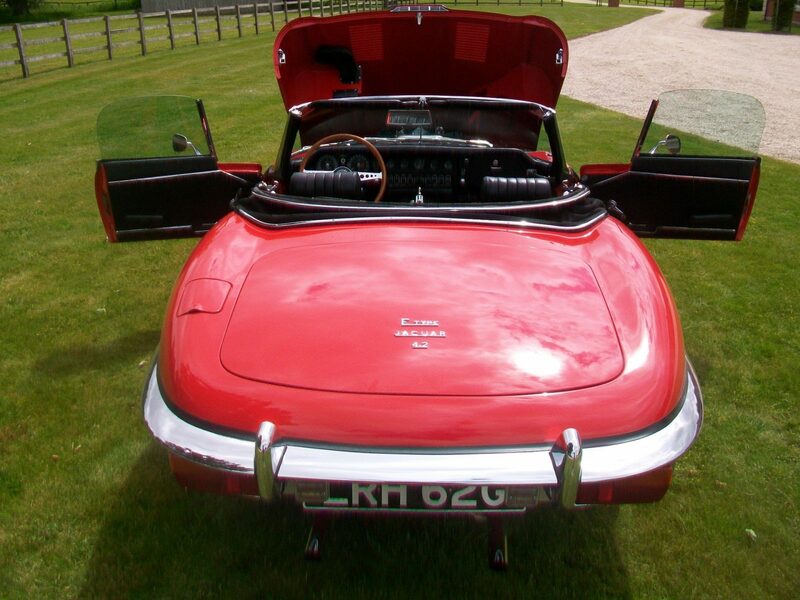 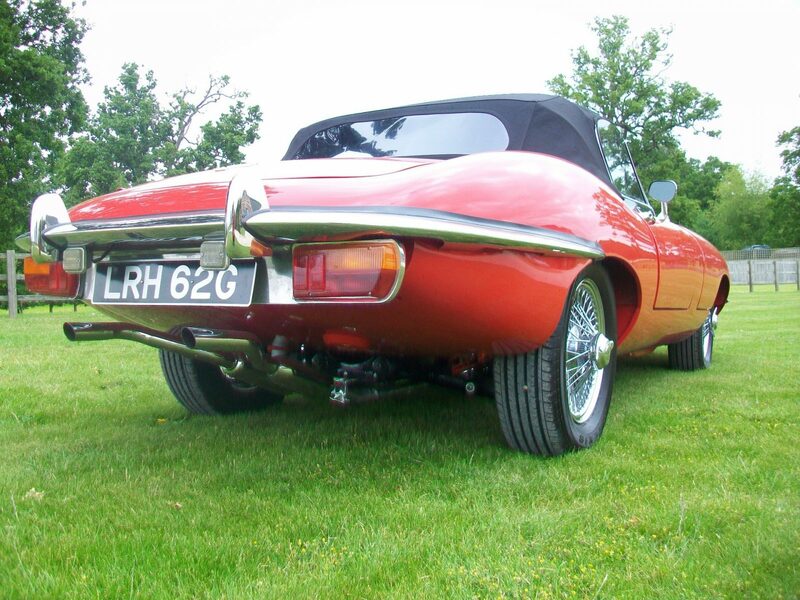 This E-Type Convertible is simply unmarked and having had a £75000 + restoration taking nearly 3 years every single bit of the vehicle has been either stripped or replaced. 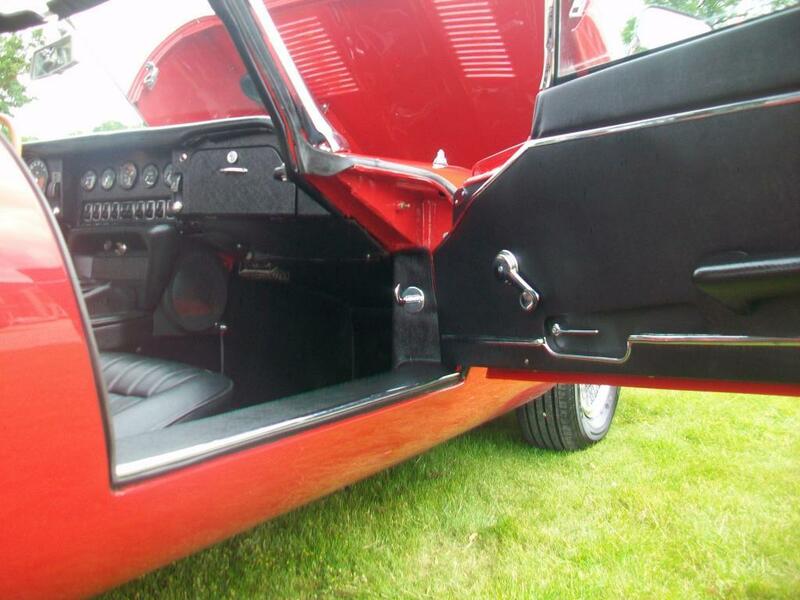 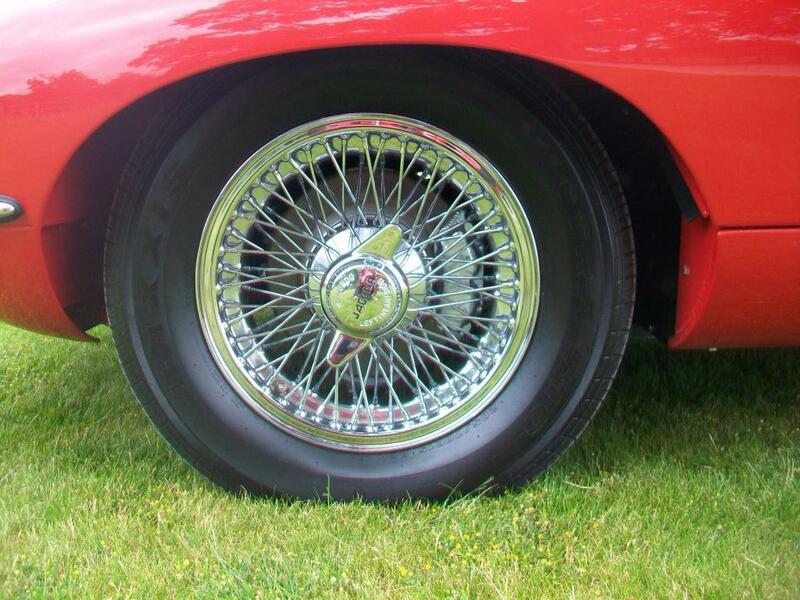 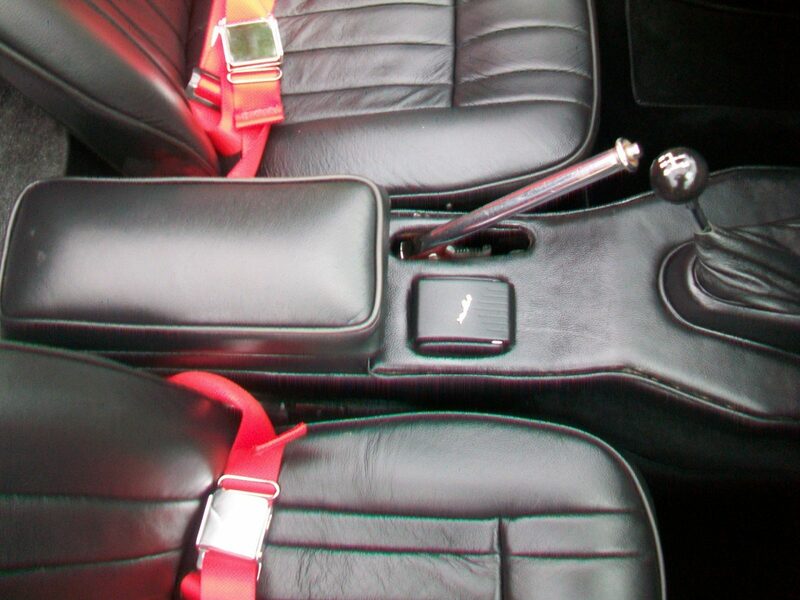 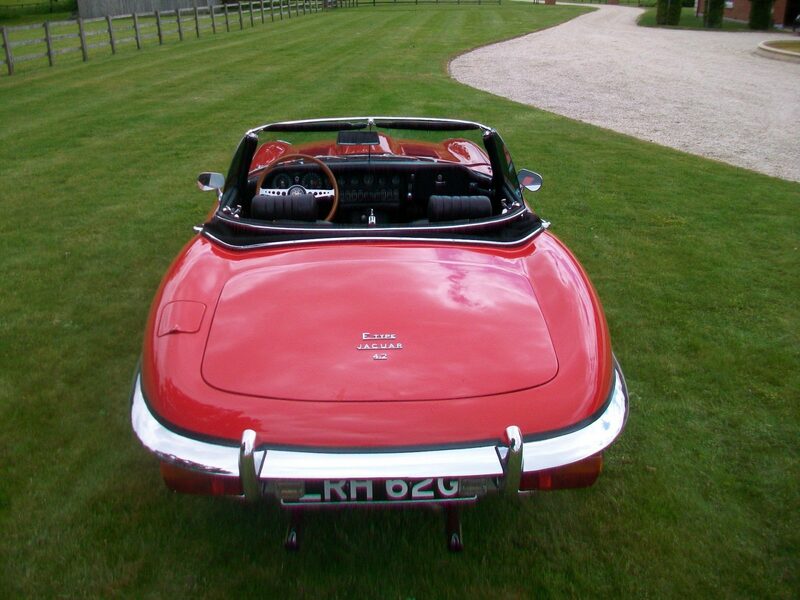 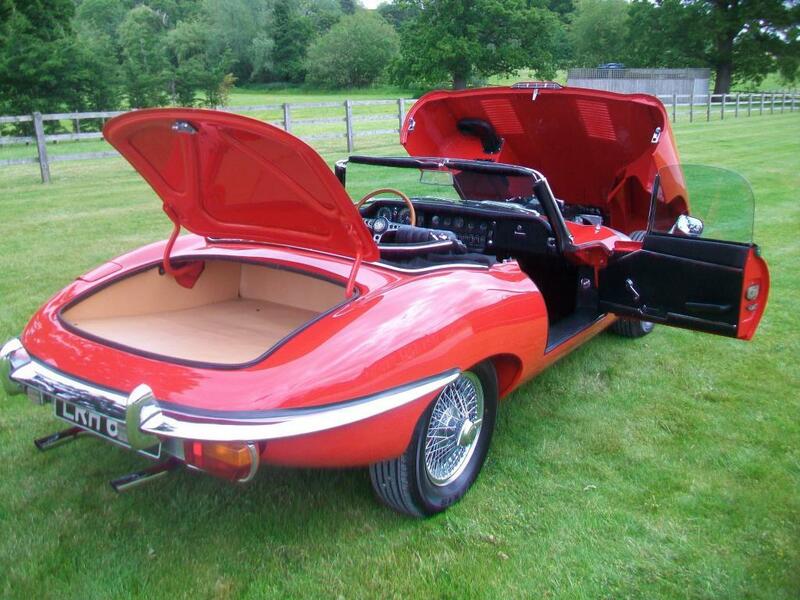 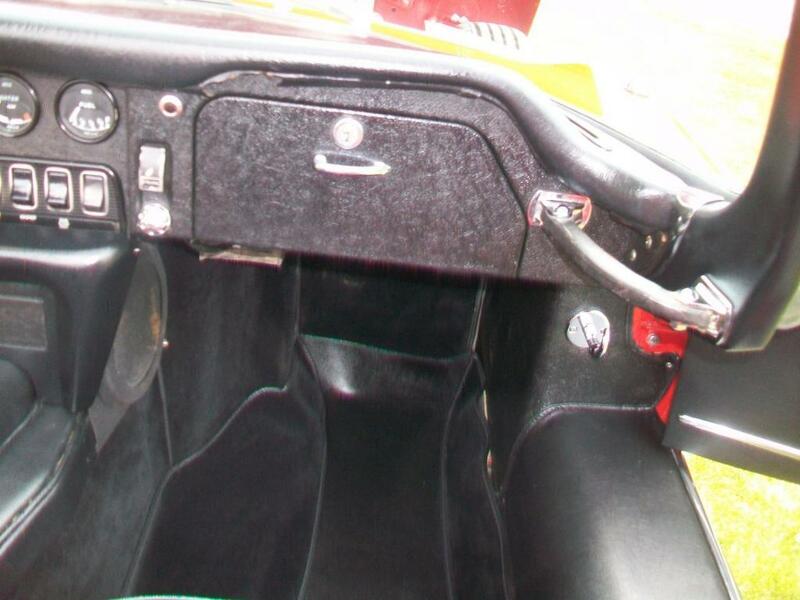 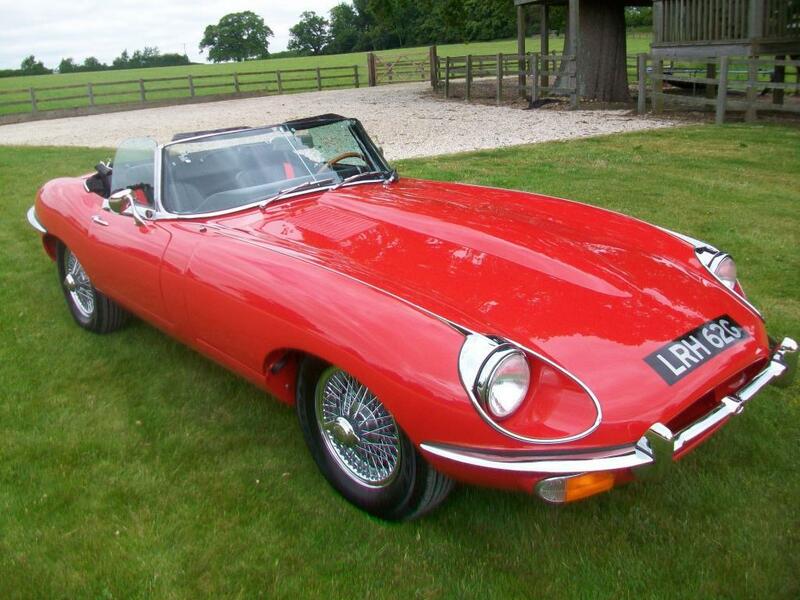 The vehicle was supplied to a Mr Robert Stevens on the 7th november 1968 by Jagaur Cars of New York in 1971. 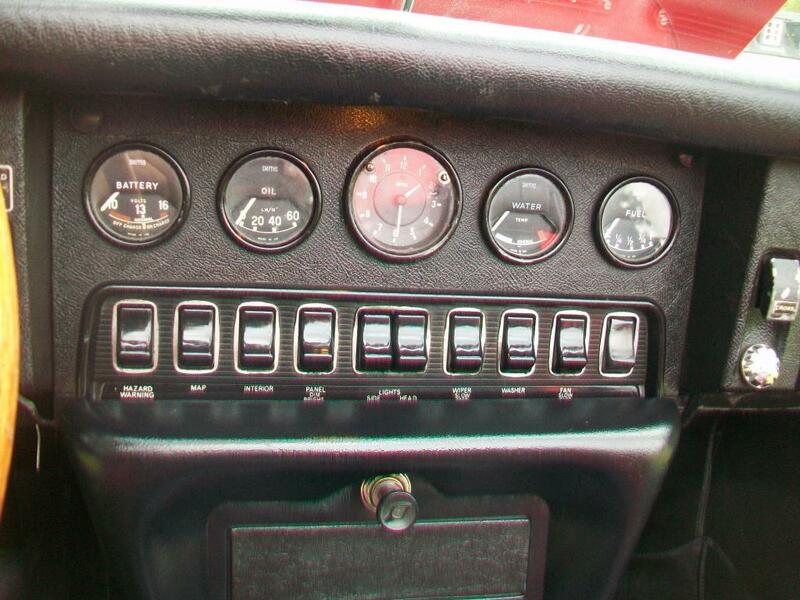 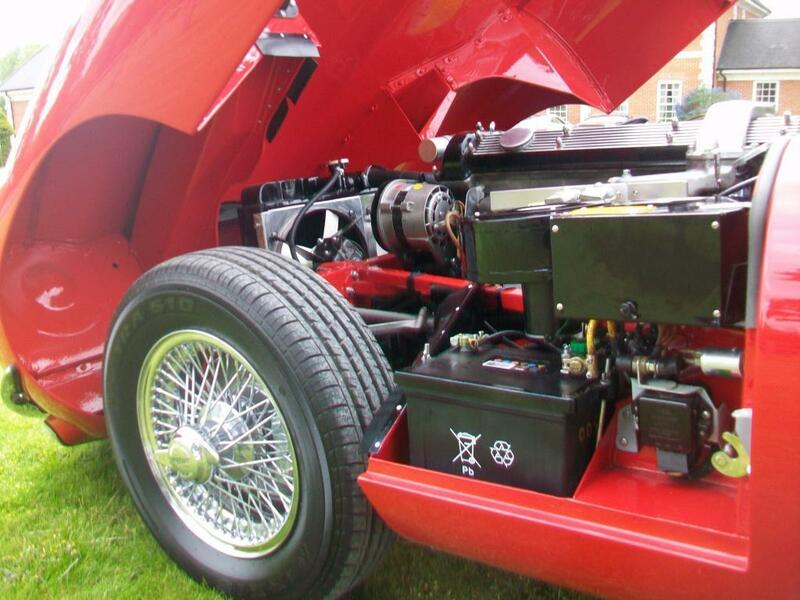 A Mr Eric Ree purchased the vehicleand in 1977 the vehicle was put into his heated storage facility at his home with a mileage of 31558 and it never moved a wheel again untill 2013 when we purchased it. 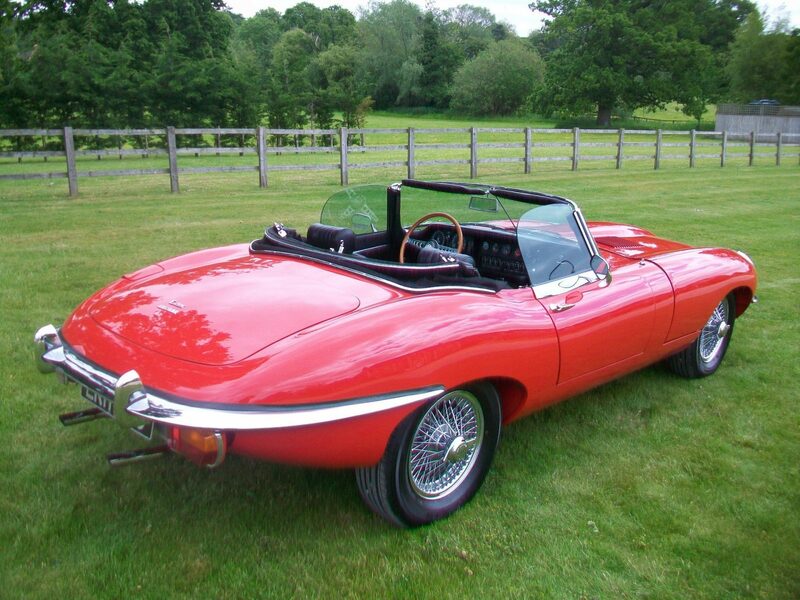 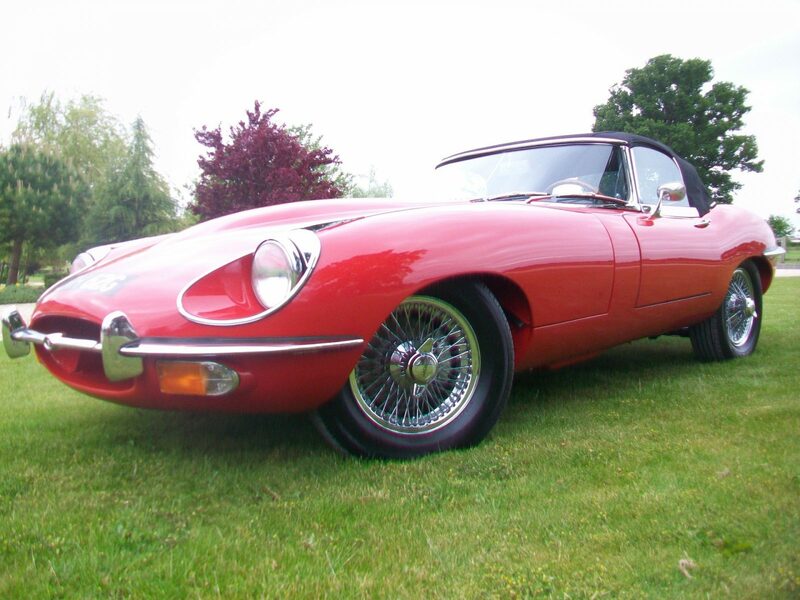 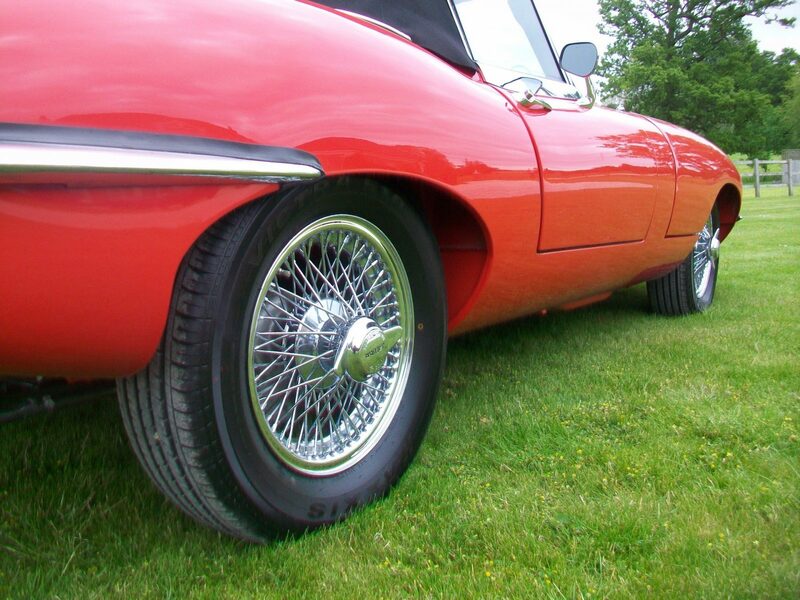 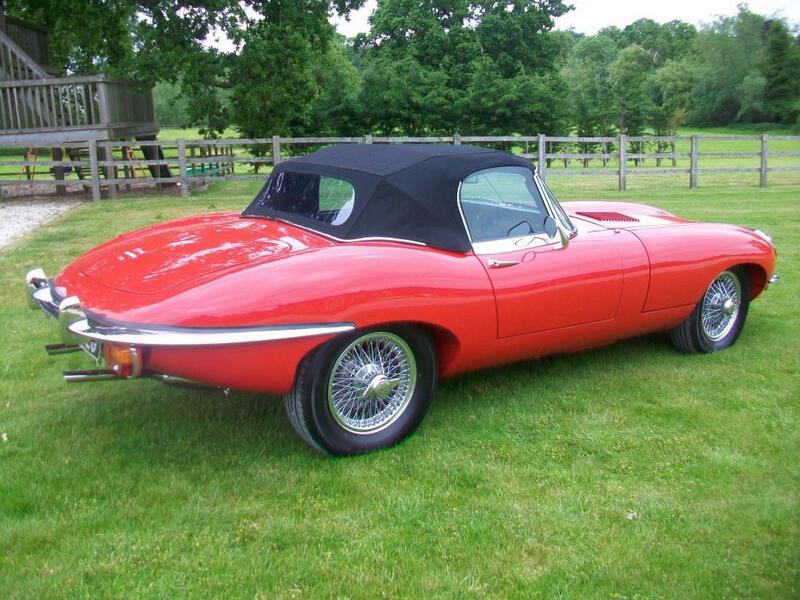 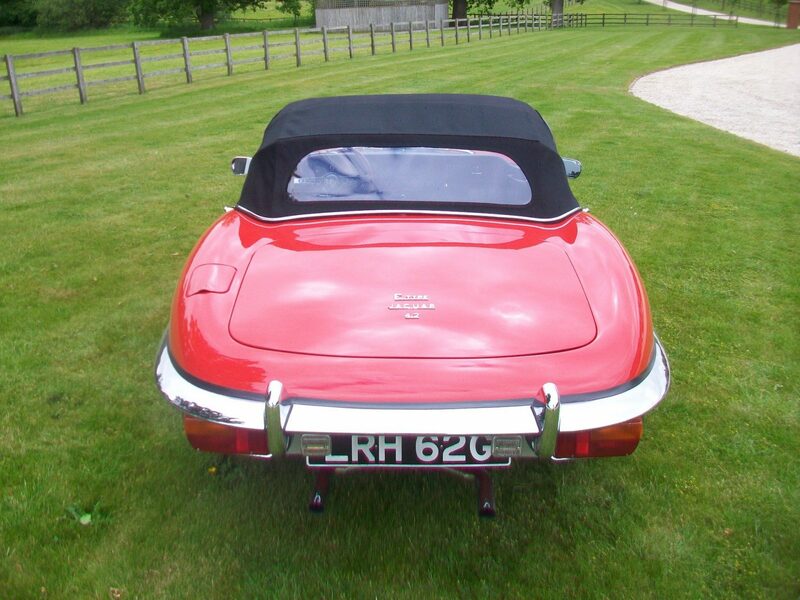 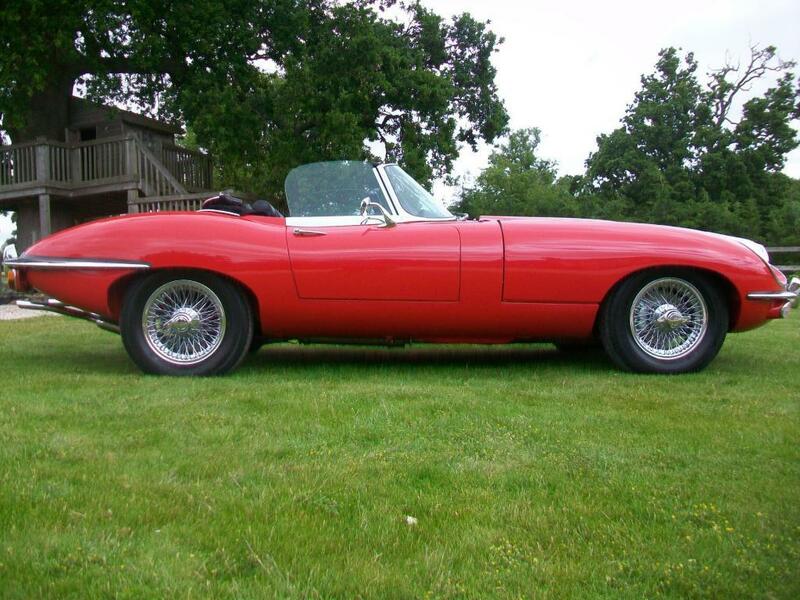 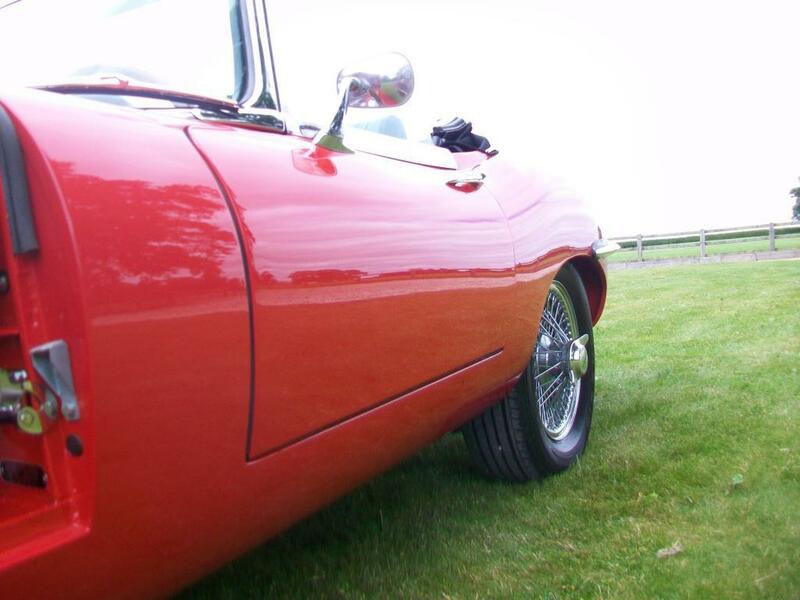 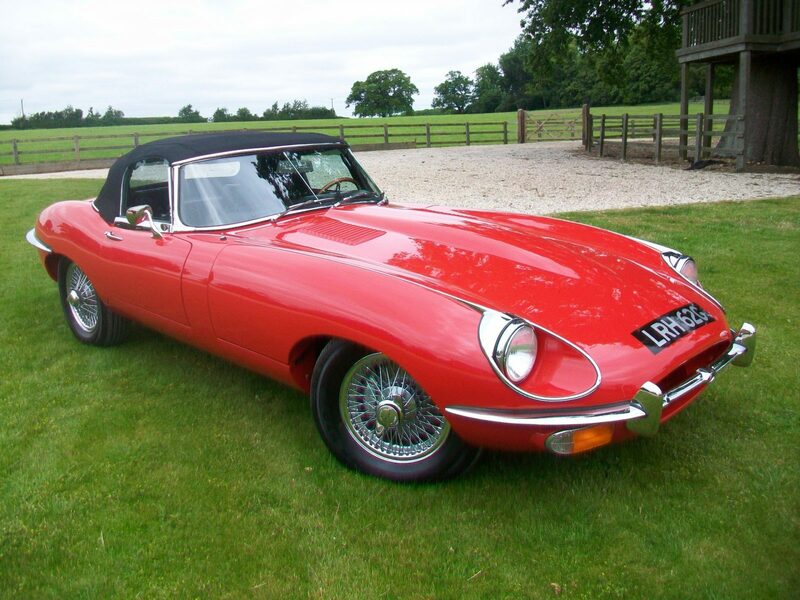 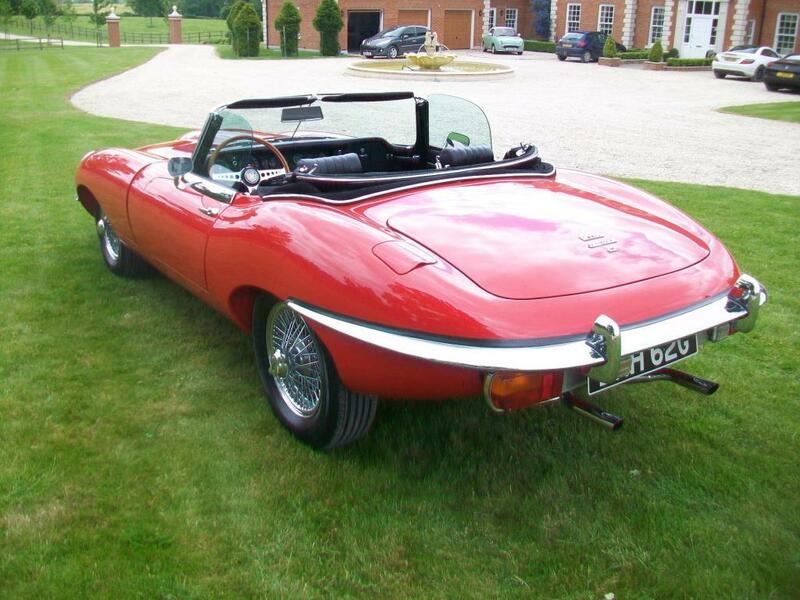 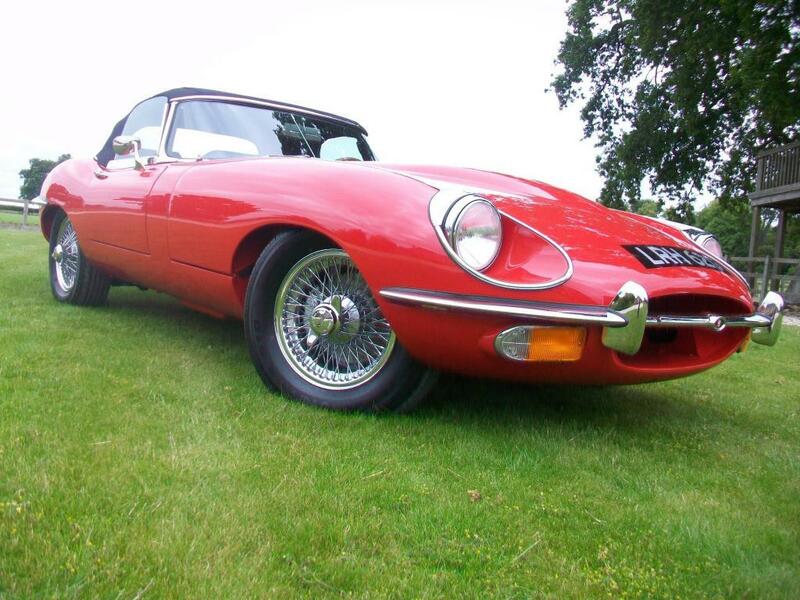 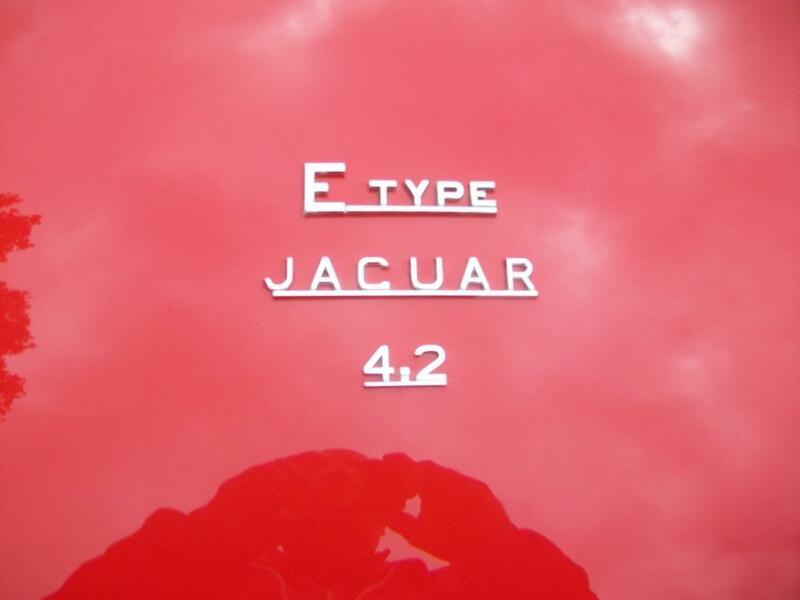 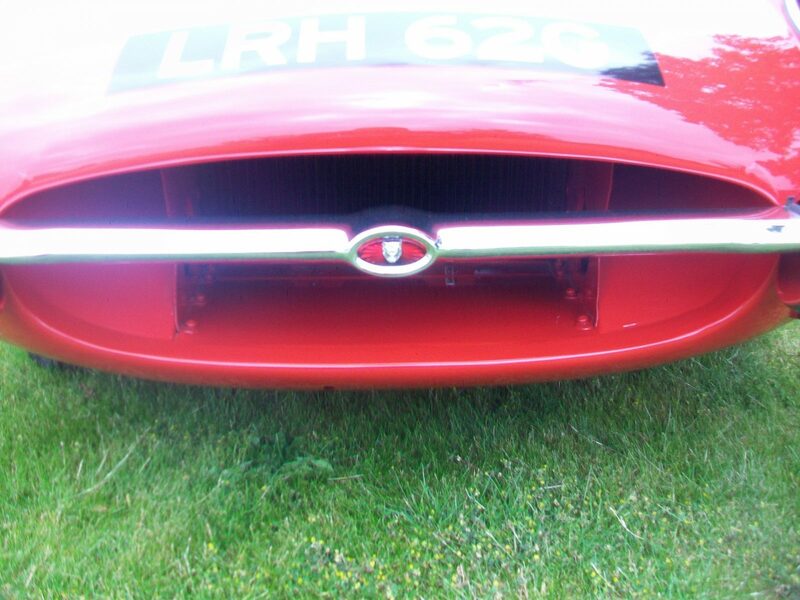 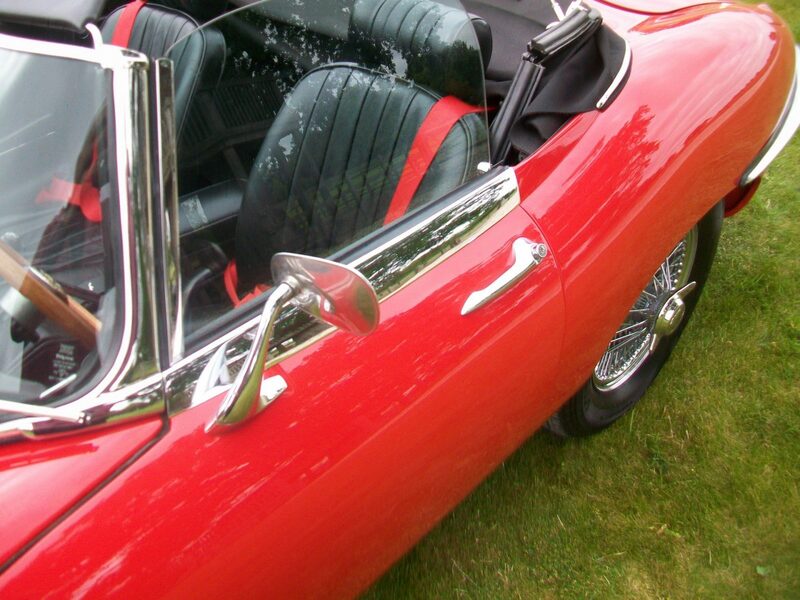 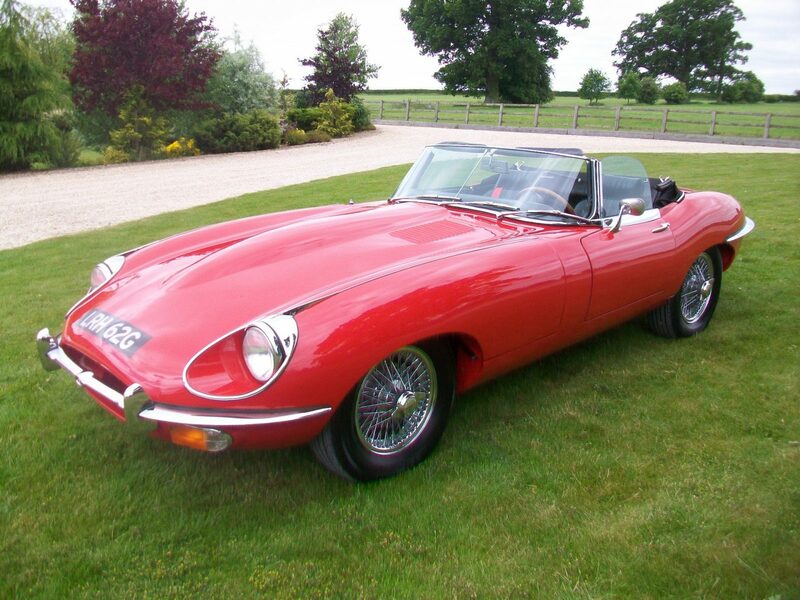 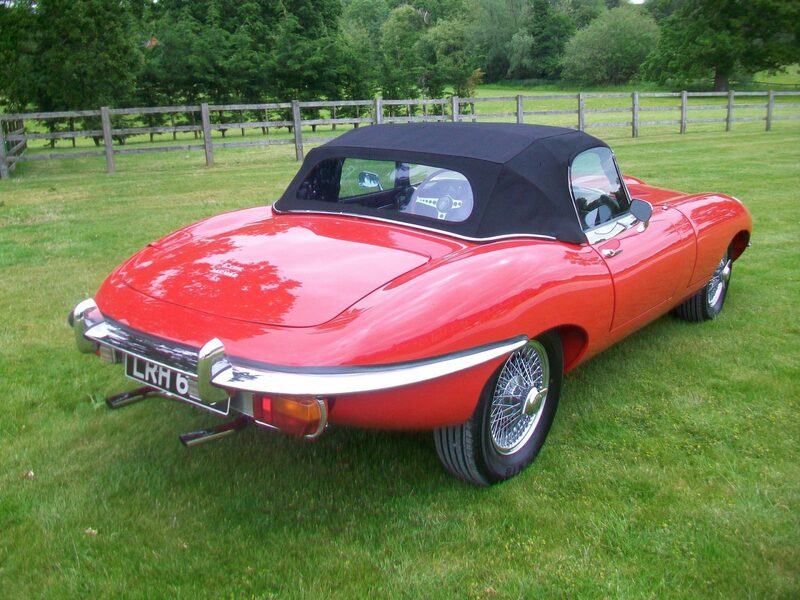 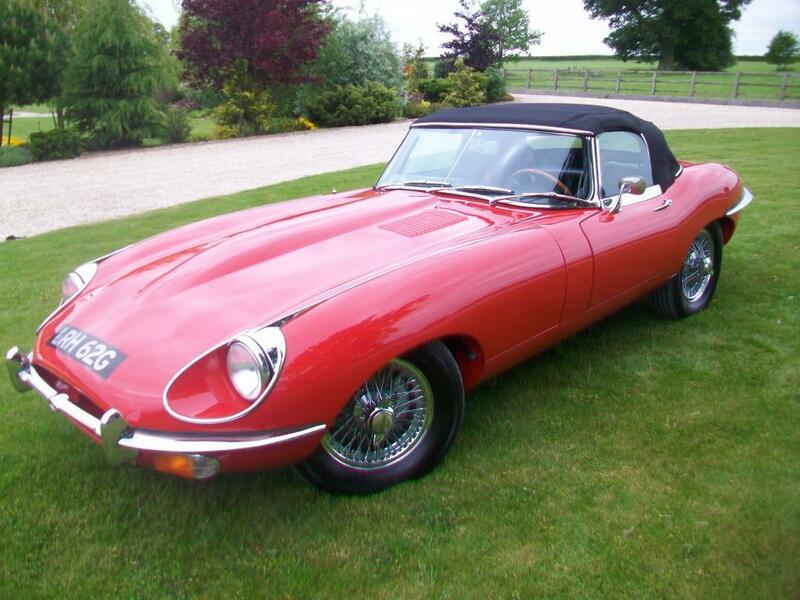 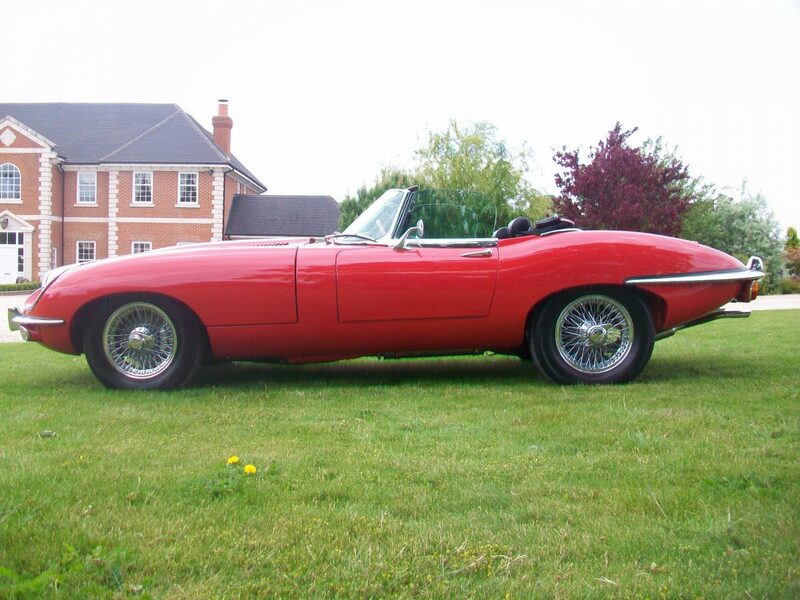 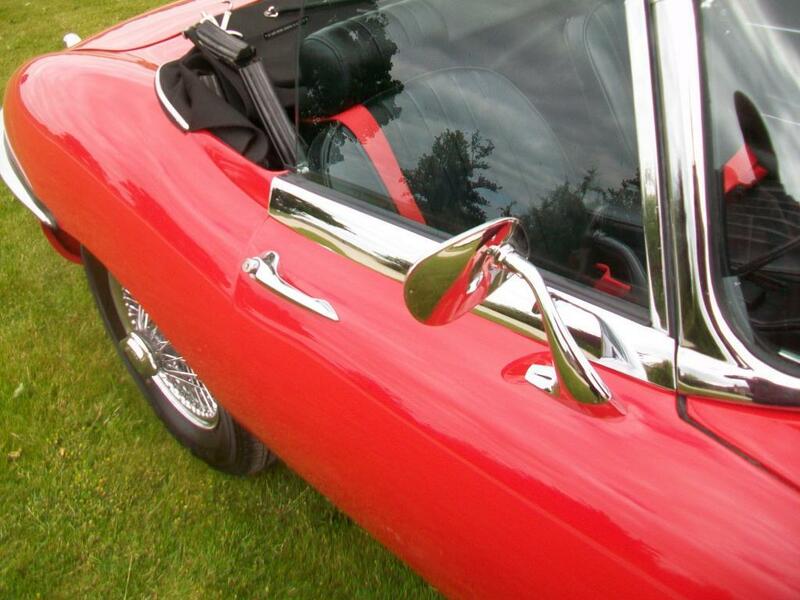 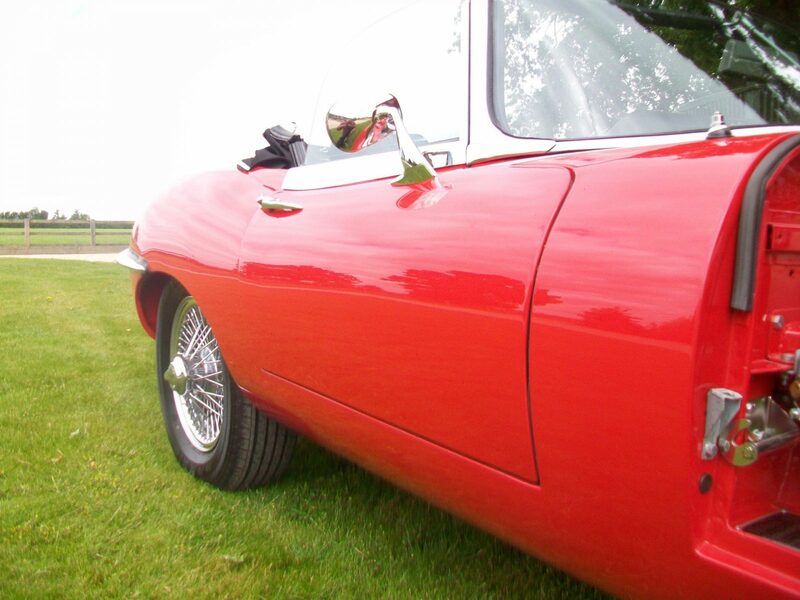 The car was supplied new in red and it was decided the colour would remain all be it the original colour was a maroon we have restored the vehicle to a lovely Jaguar bright red. 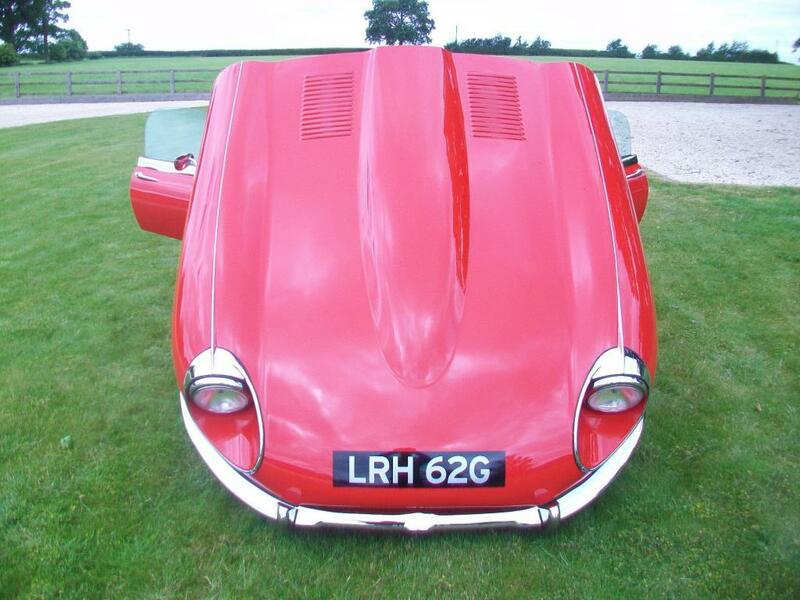 The vehicle remains left-hand drive as to keep the provedence of the vehicle we decided that was best, (a right hand drive conversion is c £4500) should a customer specify it is needed. 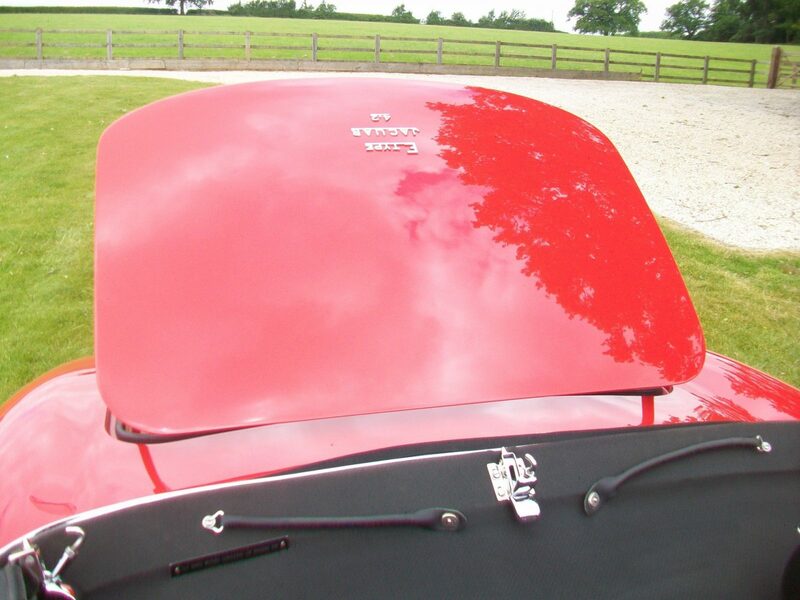 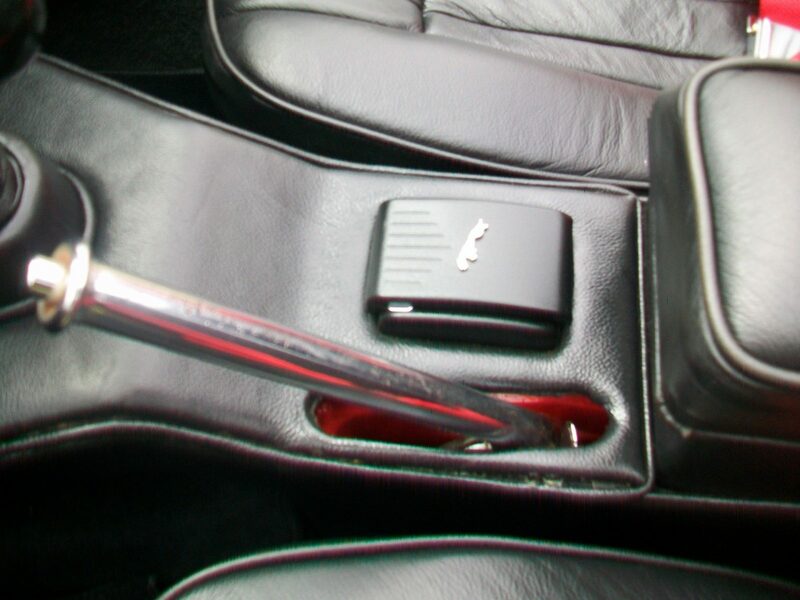 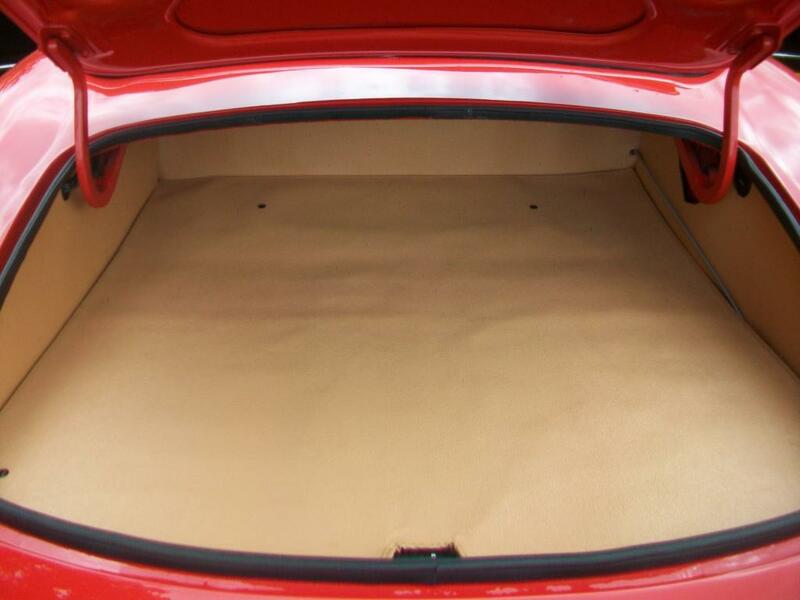 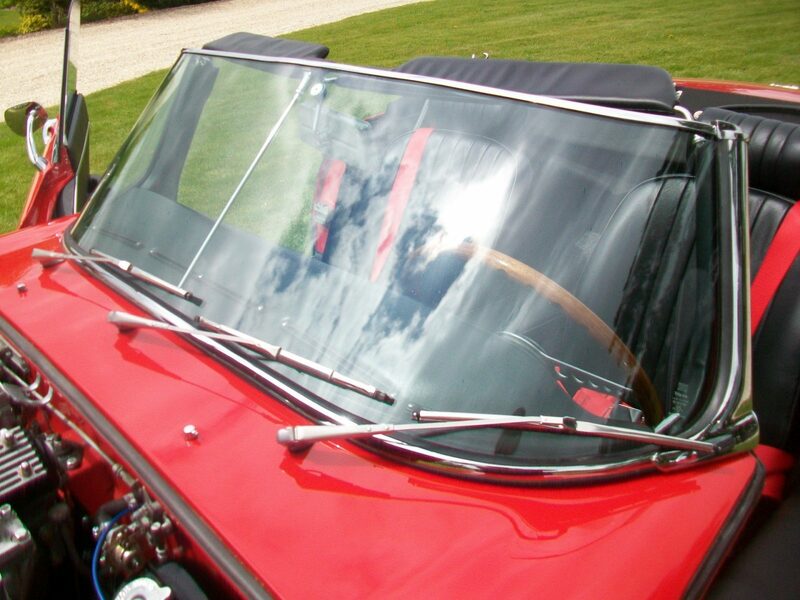 On arrival in the UK our restorer whom is simply one of the best in the UK set about a full dismantle and a lengthy program of works to restore. 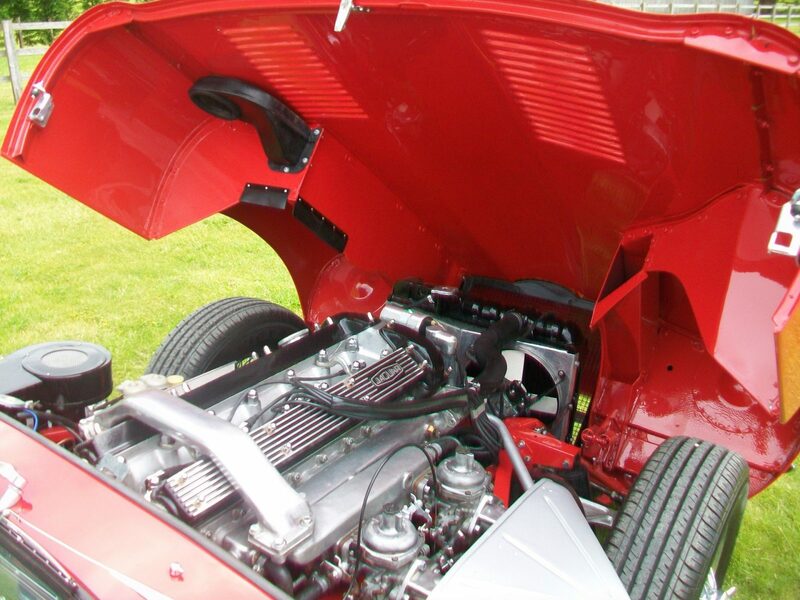 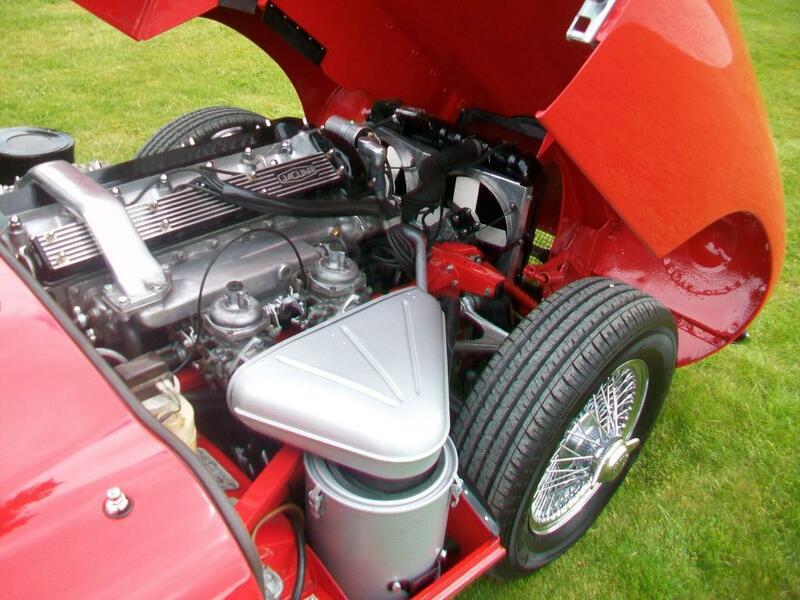 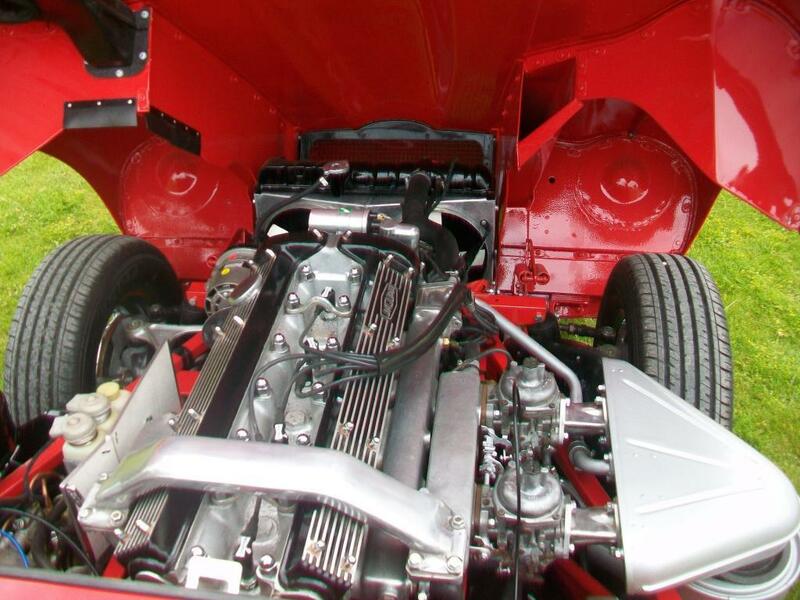 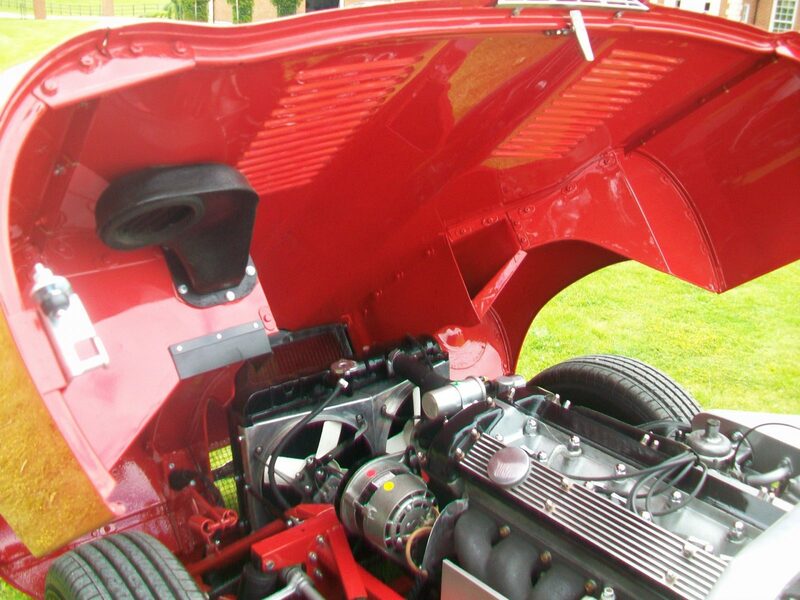 We had the engine sent to a highly regarded Jaguar specialist (old school) who stripped and fully rebuilt the engine. 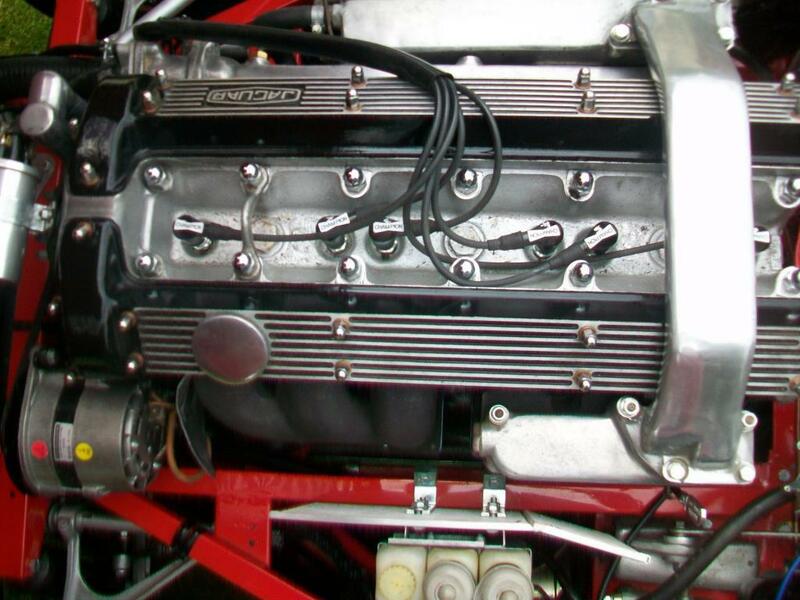 There are even pictures within our extensive history file of the initials in the block of the original engine builder and a date and next to it the initials and date of our engine rebuilder! 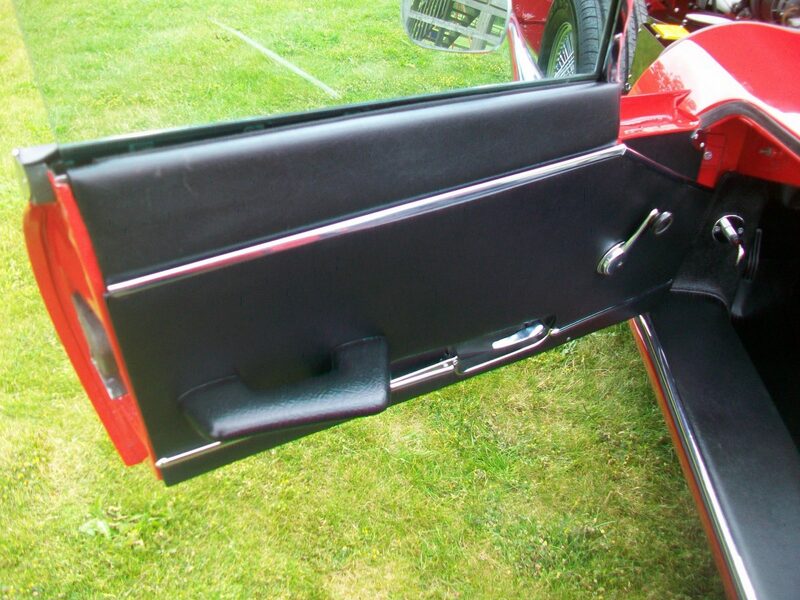 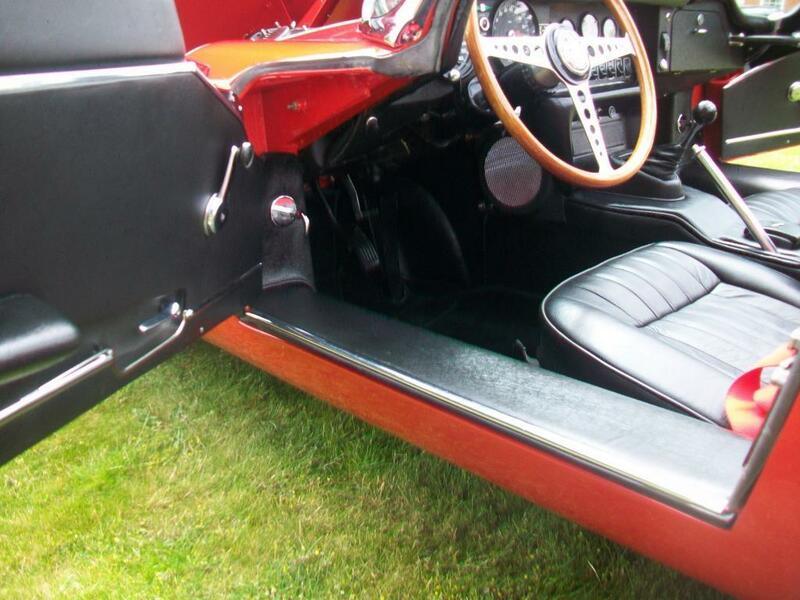 The detailing is nothing other than astonishing and the time and effort that has lavished on this vehicle has put it owing us more than we are selling it for however to get the best the monies have to be paid and we wanted the best. 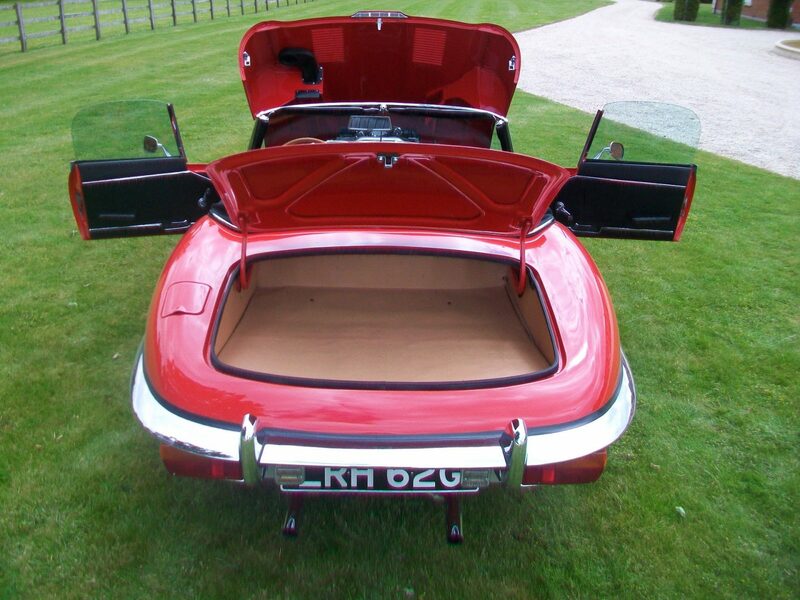 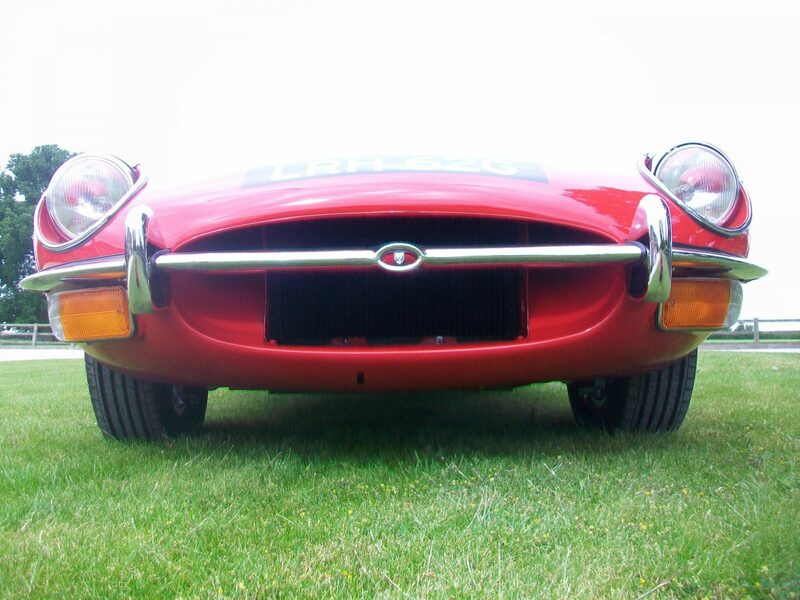 Every thing works and the huge photo file we have from day one shows just how much time/experience, expertise and expense has been lavished on this simply astonishing E-Type. 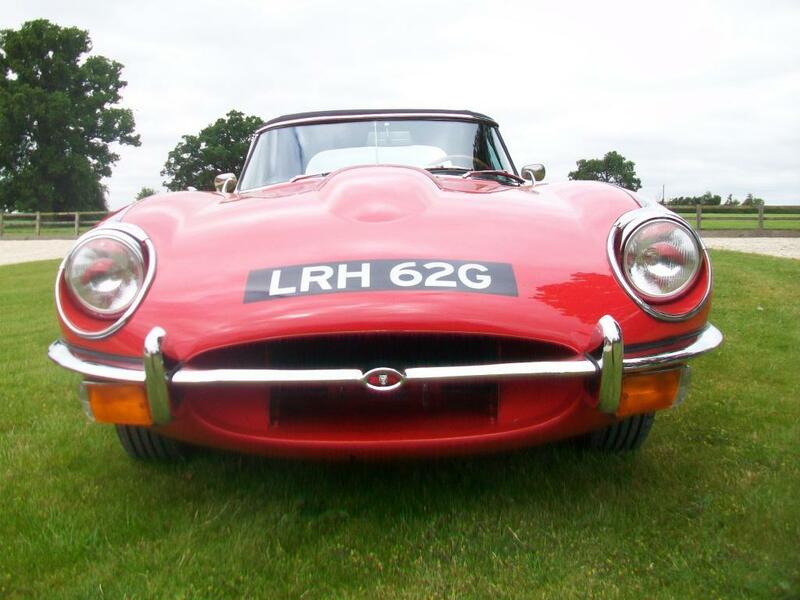 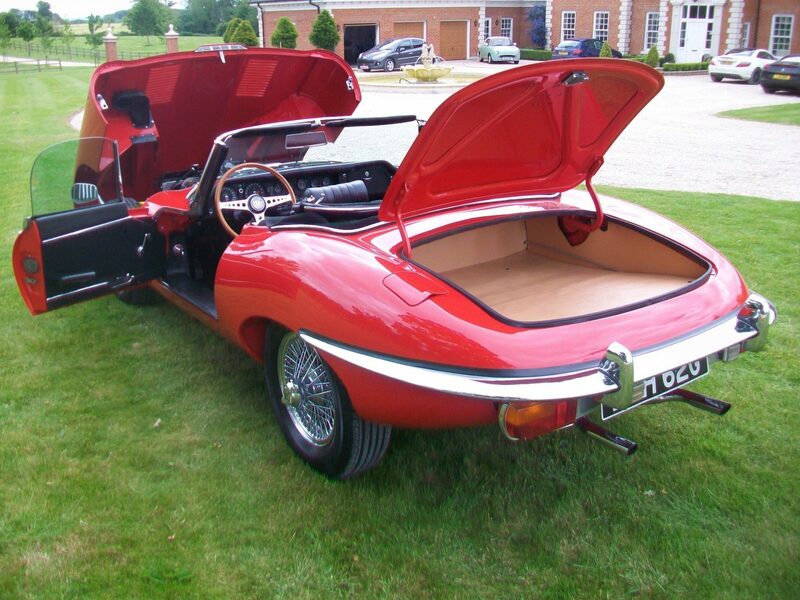 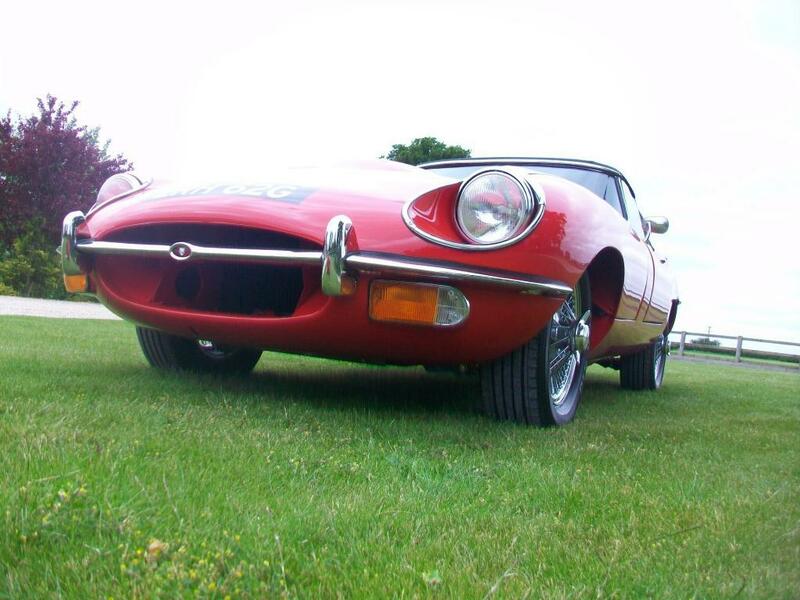 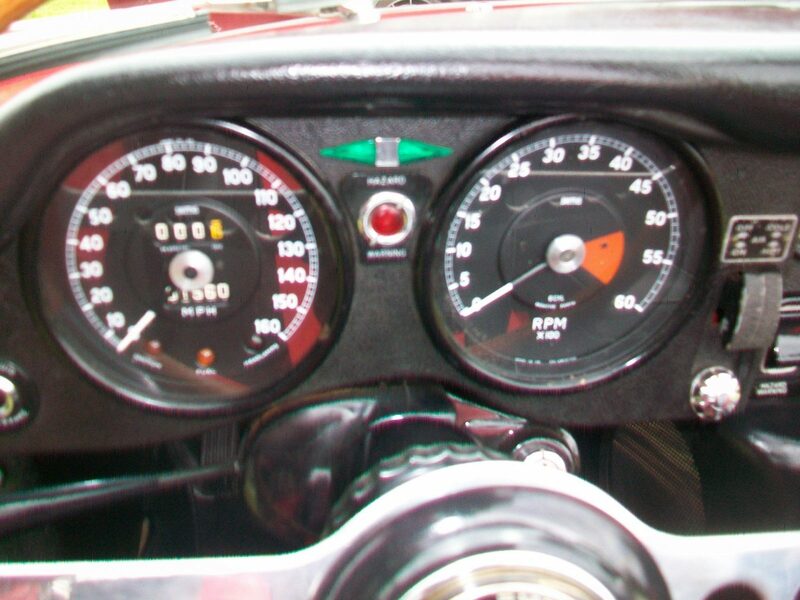 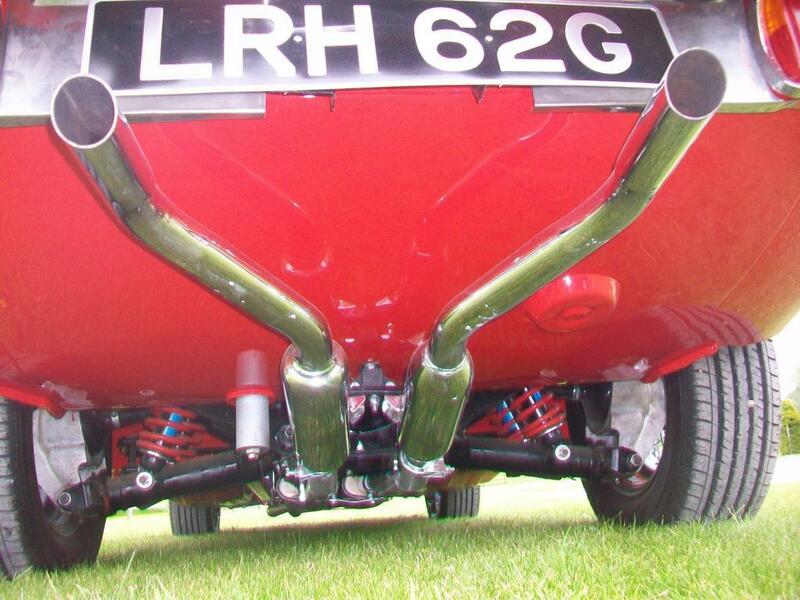 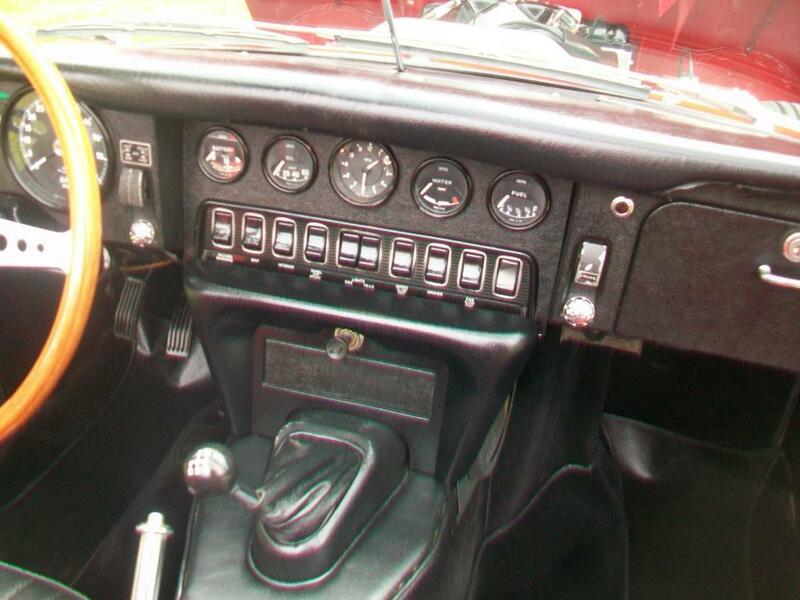 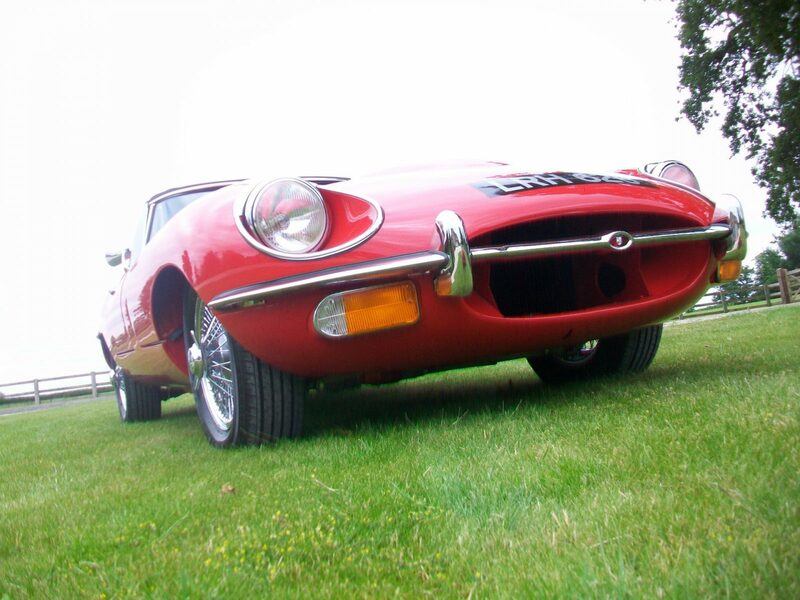 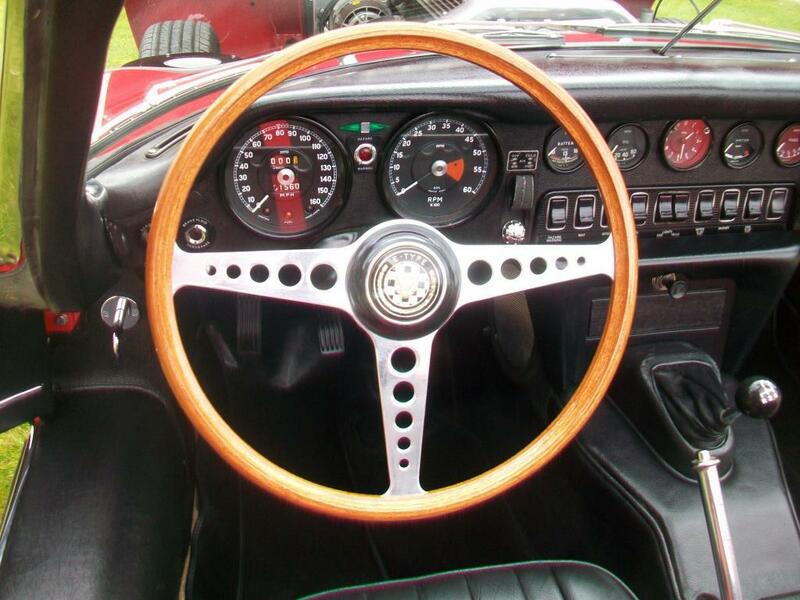 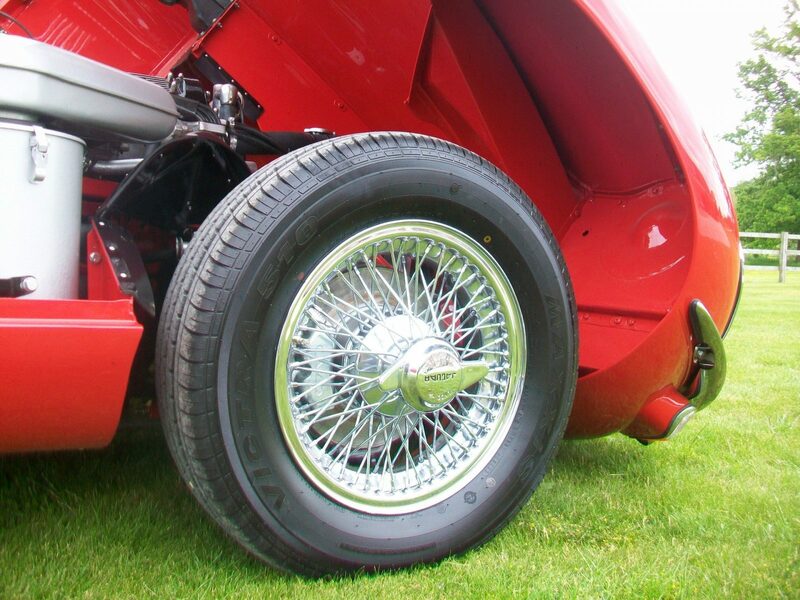 There are various E-Types restored on the market place but very few with such little recorded mileage which has been verified by the previous 2nd owner whom sold it to us. 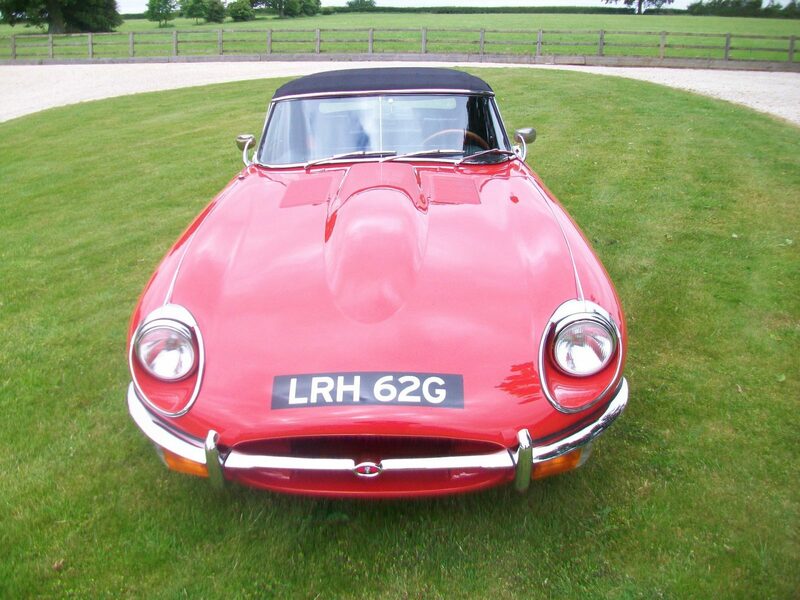 This vehicle now shows just the 1 owner in the UK however 2 private owners in the USA as per the title. 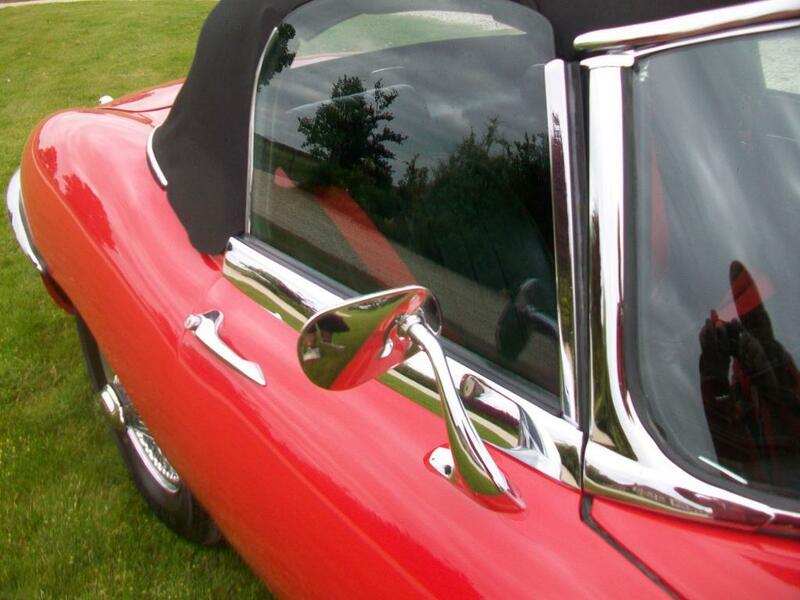 We have a heritage certificate and every receipt that has been used along with every photo of the restoration. 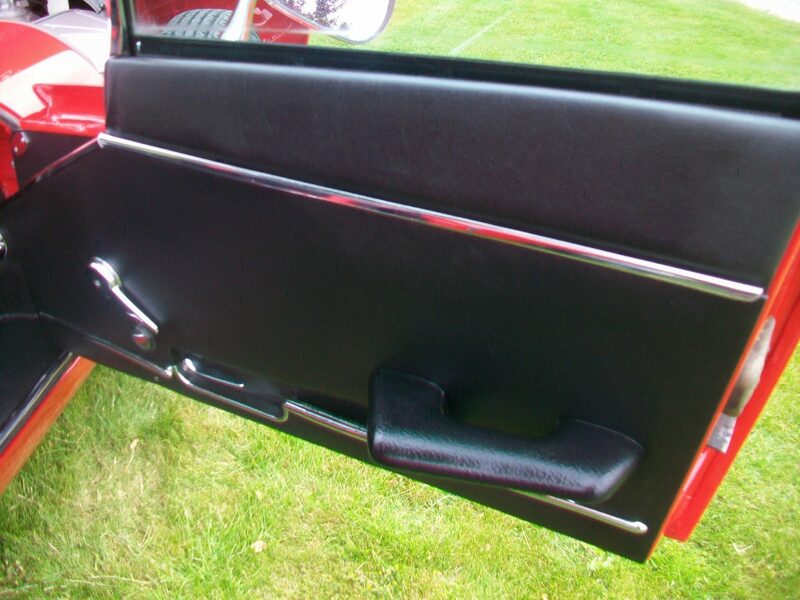 The detail in the restoration is without doubt the best the gaps are right the trim is right and without doubt it was the best presented restoration at the Coys Blenheim event of July 11th. 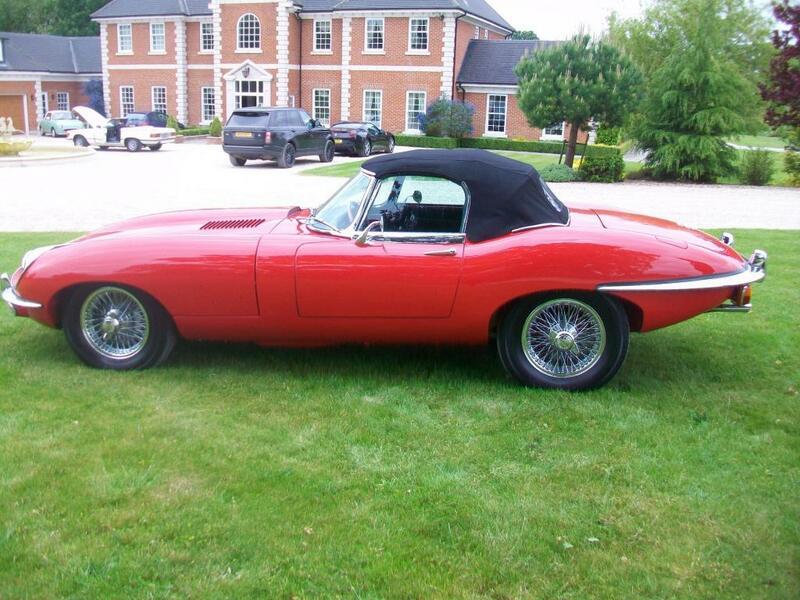 This E-Type is stunning there is no other way to describe it. 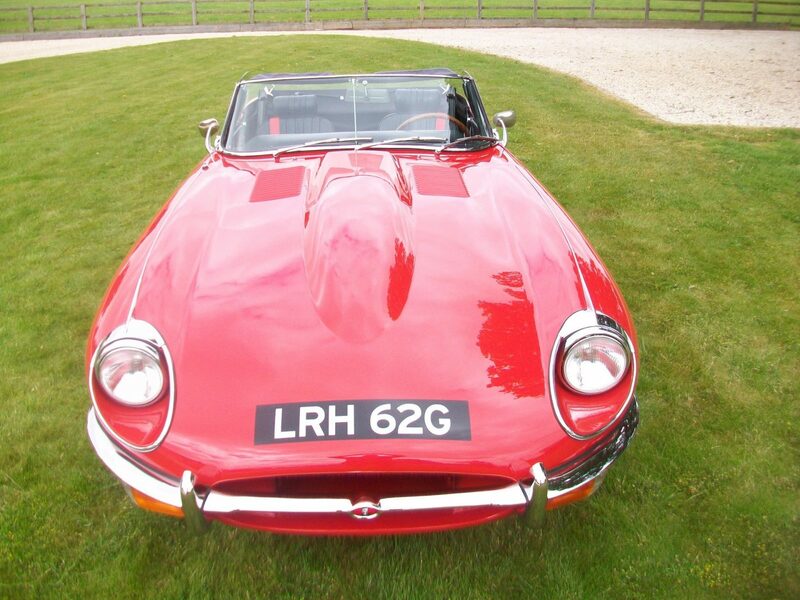 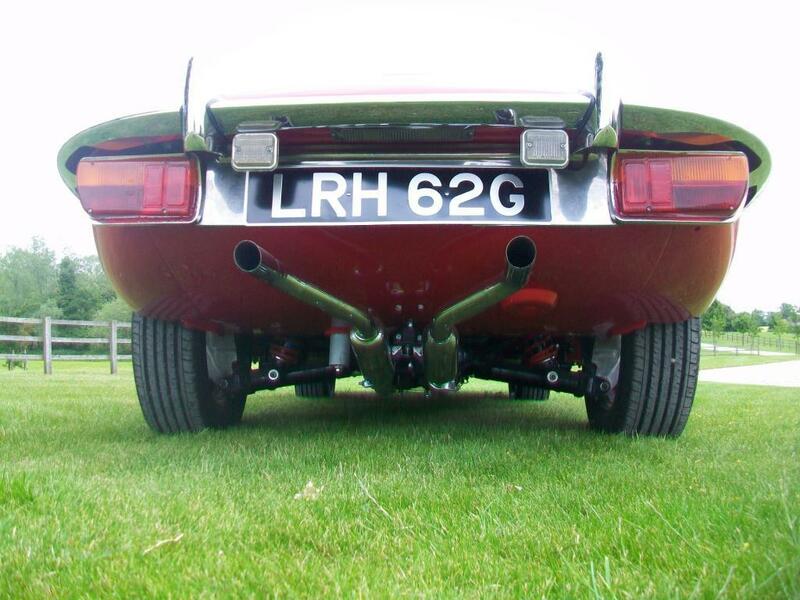 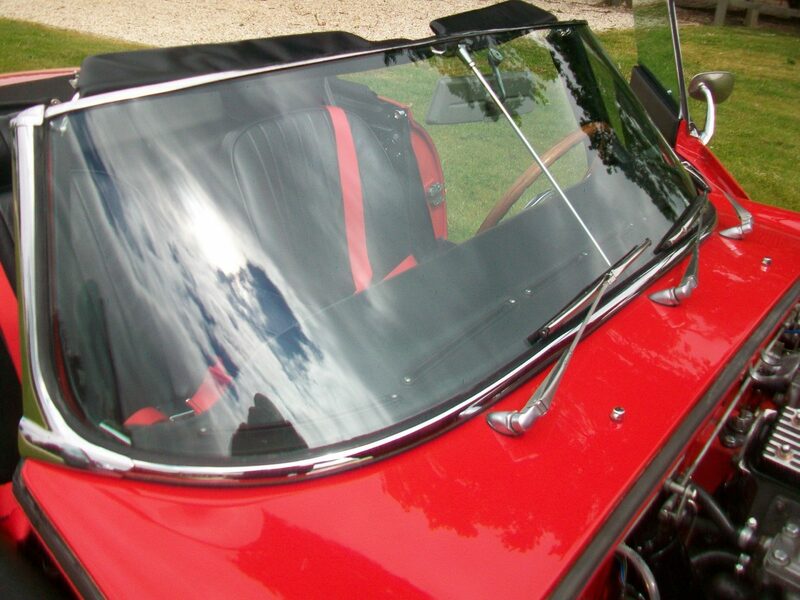 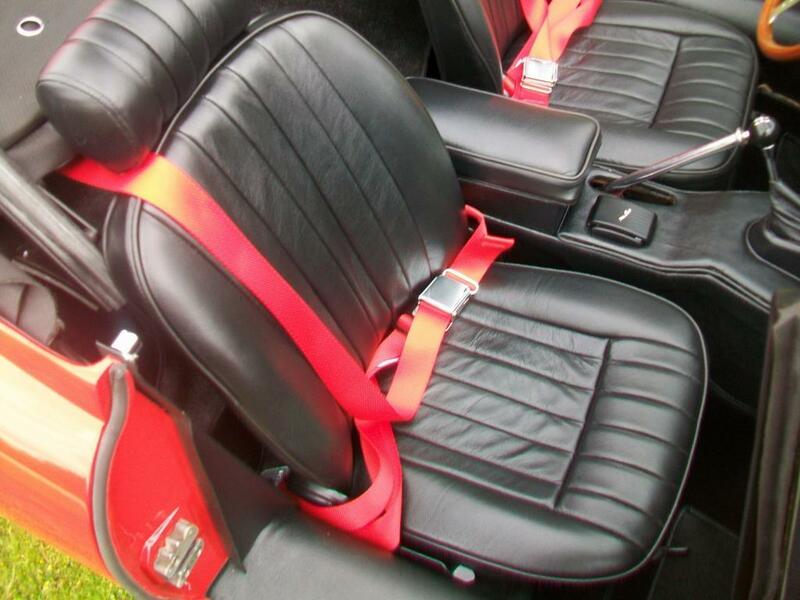 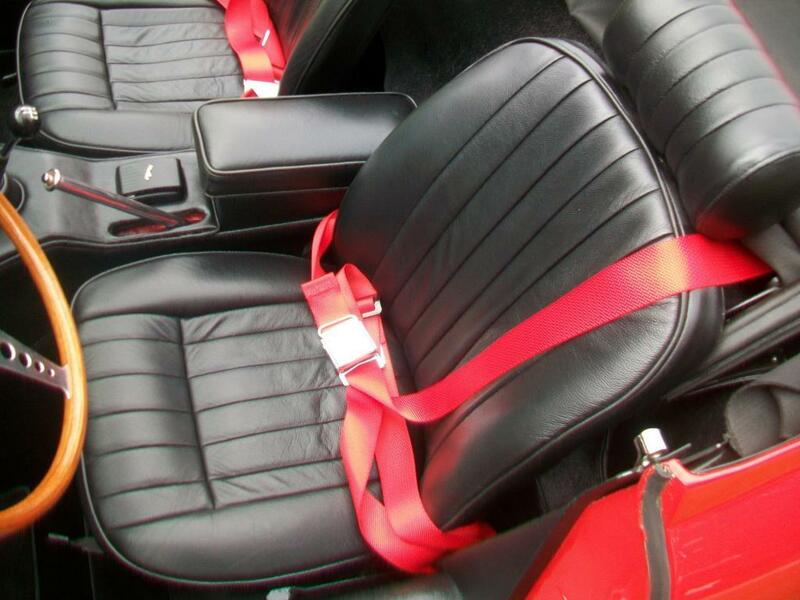 The vehicle has detailed warranted low mileage and is without doubt one of the best restored examples anywhere.